April 12, 2018 – Providence, RI – Providence College (PC) today announced that David McCullough, world-renowned author, historian, teacher, and lecturer, will present the Commencement Address at the College’s 100th Commencement exercises. The ceremony will take place on Sunday, May 20 at 11:00 a.m. at the Dunkin’ Donuts Center, 1 LaSalle Square, Providence. McCullough is one of six honorary degree recipients. The others are: Joseph P. Brum, ’68, the founding father of PC’s alumni relations program; Brian Maher, ’68, former director of the Long Island Educational Opportunity Center at Farmingdale College; Larry Rachleff, former music director of the Rhode Island Philharmonic Orchestra; Lisa M. Schenck, ’83, associate dean for academic affairs, The George Washington University School of Law; and Beverly Daniel Tatum, a clinical psychologist, author, and former president of Spelman College. 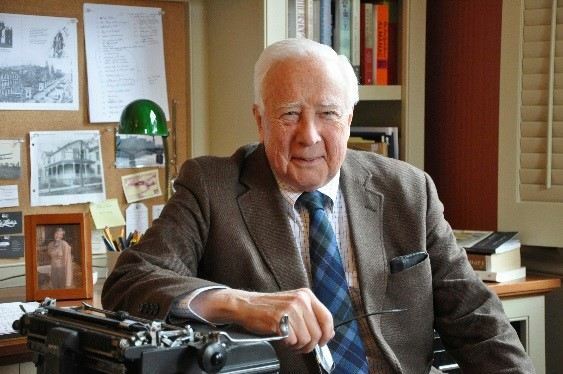 David McCullough has been acclaimed as a “master of the art of narrative history.” He is the winner of two Pulitzer Prizes, two National Book Awards, and has received the Presidential Medal of Freedom, the nation’s highest civilian award. His book, The Wright Brothers, was a #1 New York Times bestseller, and remained on the list for more than a year. Other works include The Greater Journey: Americans in Paris, 1776, and John Adams. McCullough’s other books include The Johnstown Flood, the Great Bridge, The Path Between the Seas, Mornings on Horseback, Brave Companions, and Truman. His books have been published in nineteen languages, and none of them has ever been out of print. McCullough is twice the winner of the Francis Parkman Prize, and for his work overall, he has been honored with the National Book Foundation Distinguished Contribution to American Letters Award, the National Humanities Medal, and the Gold Medal for Biography given by the American Academy of Arts and Letters. 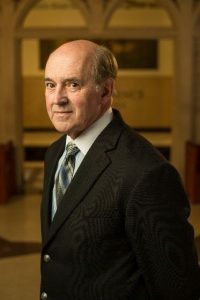 He has been elected to the American Academy of Arts and Sciences, as well as the American Academy of Arts and Letters, and has received 55 honorary degrees. McCullough has been an editor, teacher, lecturer, and familiar presence on public television—as host of Smithsonian World, The American Experience, and narrator of numerous documentaries, including Ken Burns’ The Civil War. He is also the narrator’s voice in the movie Seabiscuit. John Adams, the seven-part mini-series on HBO produced by Tom Hanks based on McCullough’s book, was one of the most acclaimed television events of recent years. He is one of the few private citizens to speak before a joint session of Congress. Born and educated in Pittsburgh and at Yale University, his hometown recently renamed its landmark 16th Street Bridge as the David McCullough Bridge. In 2014, he was named an Officer of the Legion of Honor by decree of the President of the Republic of France. No stranger to PC, he was the keynote speaker in 2013 at the dedication ceremony for the Ruane Center for the Humanities. McCullough will receive a doctor of letters honorary degree. Joseph P. Brum, ’68, is known as the founding father of PC’s alumni relations program. He has worked for five of the College’s twelve presidents, and has actively participated in the mission of the College as a student or administrator for over 50 years. Brum was the first full-time executive of the College’s Alumni Association. In 1973, he was promoted to the position of Director of Alumni/Development with additional responsibilities for fundraising and the PC Annual Fund. In 1982, he took on the management of the PC Parents Fund and Capital Campaign activities. He became the Vice President for Alumni/Development in 1988 and served in that capacity until 2003. He is now the Special Assistant to the President for Development Projects. Brum has also been active in other civic and charitable endeavors. He has been a supporter of the Dominican Friars of the Province of St. Joseph; the Little Sisters of the Poor; the RI Judicial Performance Review Board; the RI Special Committee for the Judiciary andvarious community causes. 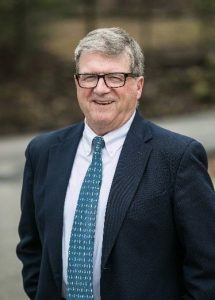 He has been active in his hometown of Tiverton, RI, serving as a member of the Town Council, Planning Board, Industrial Commission, Harbor Commission, and Library Foundation. Brum will receive an honorary doctorate of public service. Brian Maher, ’68, earned a BS in business administration from PC in 1968. He will receive a doctor of education honorary degree. His career began as an accountant for the Grumman Aerospace Corporation from 1968-1969. Maher then taught at St. John the Baptist Diocesan High School from 1969-1974. From 1974-1979, he was the budget administrator for Abilities, Inc. Maher subsequently went to Farmingdale State College where he filled such positions as college accountant; business affairs coordinator; director, Long Island Educational Opportunity Center; and career development coordinator. He retired in 2016, and now volunteers with several organizations, including Opening Word, a literacy program for women that is run by the Dominican Sisters of Amityville, NY, and Dominican Village, a senior/assisted living facility also run by the Dominican Sisters. He has served on numerous community boards and religious organizations, including a stint as both vice president and president of the PC National Alumni Association. 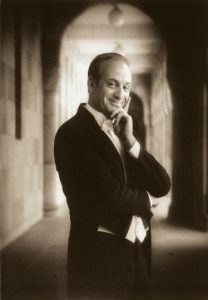 Larry Rachleff, is the former music director of the Rhode Island Philharmonic Orchestra, a position he held for 21 years. During his tenure, he shaped the Philharmonic into one of the finest regional orchestras in the United States. He also built the number of season subscribers to the Philharmonic, introducing innovative programs such as the Amica Rush Hour Series, an informal concert series that has proven popular with audiences of all ages. He is currently a professor of music and director of orchestras at Rice University, Houston, TX. Rachleff received a BS from the University of Connecticut in 1977, and a master’s in music in 1979 from the University of Michigan. In 2016, he received an honorary doctorate from Roger Williams University. Rachleff is a regular guest conductor with the orchestras of Colorado, Utah, Indianapolis, and Kansas City, to name a few. He recently served as artistic advisor for the Grand Rapids Symphony. His summers are spent guest conducting at the Music Academy of the West, the Aspen Music Festival and School, where he has served as guest director of their summer conducting academy; the Sarasota Music Festival; the Chautauqua Music Festival; and the Grand Teton Festival. Other summer festival engagements have included Tanglewood, Interlochen, Brevard Music Festival and Opera Theatre of Lucca, Italy. He has conducted and presented masterclasses all over the world, including the Chopin Academy in Warsaw, the Zurich Hochschule, the Sydney and Queensland conservatories, The Julliard School, the Royal Northern College in the U.K., and the New England Conservatory. Rachleff will receive a doctor of music honorary degree. Lisa M. Schenck, ’83, is associate dean for academic affairs at The George Washington University School of Law. Schenck joined the law school in 2009 after serving in the Army for more than 25 years, initially as a Signal Corps Officer, and then as a judge, lawyer, and educator in the Judge Advocate General’s Corps. In 2002, she was appointed as a military judge on the U.S. Army Court of Criminal Appeals. In 2003, she received the Judge Advocates Association Outstanding Career Armed Services Attorney Award (Army). 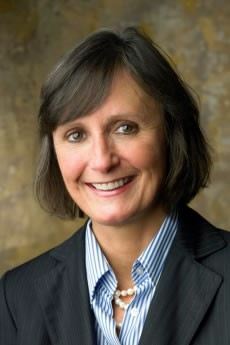 In 2005, Dean Schenck was the first woman appointed as a Senior Judge on that court, where she served until she retired. She concurrently served as an Associate Judge on the U.S. Court of Military Commission Review after her appointment by the Secretary of Defense in 2007. Dean Schenck retired in 2008 as a U.S. Army colonel, and became the Senior Adviser to the Defense Task Force on Sexual Assault in the Military Services. Schenck will receive a doctor of laws honorary degree. Beverly Daniel Tatum, is a clinical psychologist, author, and former president of Spelman College. She will receive an honorary doctor of public service degree. Dr. Tatum is widely known for both her expertise on race relations and as a thought leader in higher education. Her thirteen years as the president of Spelman College (2002-2015) were marked by innovation and growth, and her visionary leadership was recognized in 2013 with the Carnegie Academic Leadership Award. The author of several books, including the best-selling Why Are All the Black Kids Sitting Together in the Cafeteria? and Other Conversations About Race (now in a new 2017 20th anniversary edition), and Can We Talk About Race? and Other Conversations in an Era of School Resegregation (2007), Dr. Tatum is a sought-after speaker on the topic of racial identity development, the impact of race in the classroom, strategies for creating inclusive campus environments, and higher education leadership. In 2005, Dr. Tatum was awarded the prestigious Brock International Prize in Education for her innovative leadership in the field. A Fellow of the American Psychological Association, she was the 2014 recipient of the APA Award for Outstanding Lifetime Contributions to Psychology. She holds a B.A. degree in psychology from Wesleyan University, and M.A. and Ph.D. degrees in clinical psychology from the University of Michigan, as well as an M.A. in Religious Studies from Hartford Seminary. 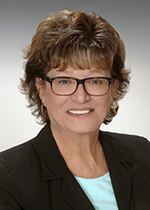 Over the course of her career, Dr. Tatum has served as a faculty member at the University of California, Santa Barbara; Westfield State University; and Mount Holyoke College. 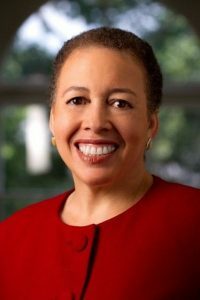 Prior to her 2002 appointment as president of Spelman, she served as dean and acting president at Mount Holyoke College. In spring 2017, she was the Mimi and Peter E. Haas Distinguished Visitor at Stanford University.